Zeelander Yachts is extremely proud to announce the launch of the Zeelander Z72, its largest yacht to date. Zeelander Yachts is a leading Dutch shipyard that creates high-end motor yachts with an elegant New York commuter-style profile and excellent performance. Zeelander Yachts is specialized in building small superyachts. During the last 15 years, the shipyard has been bringing the highest degree in design, function and construction detail. Years of experience combined with the needs of today are behind the development of the newest and largest member in the Zeelander family. The Z72 is an exceptional flagship that combines superyacht design features and finish levels with Zeelander’s noteworthy profile. The Z72 continues the trend begun by Zeelander Yachts showing off her curves. Each new yacht from this builder initially makes a splash with her exterior lines and the Z72 is no exception, with a striking S-shaped sheerline. The distinctive rounded stern unfolds invitingly to reveal a spacious 100 square feet swim platform. An understated bowrail shadows the sheer for the length of the yacht. Three pairs of extremely large hullside windows punctuate the curvaceous hull. 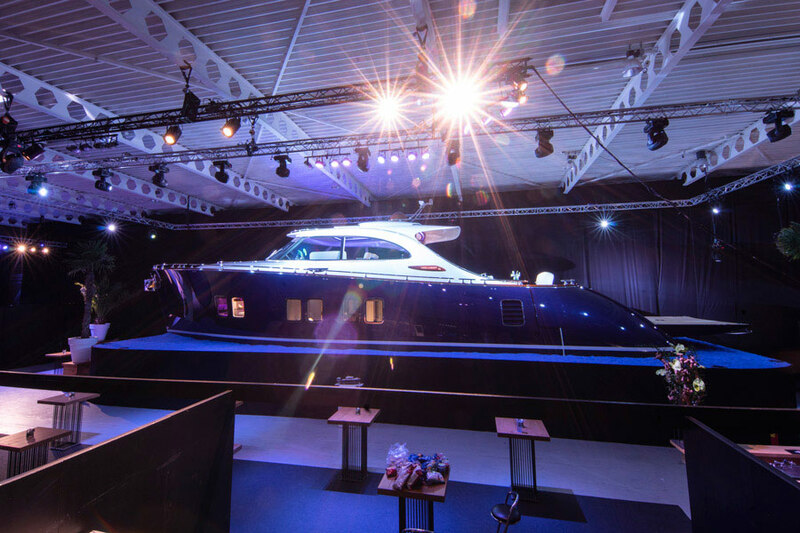 They illuminate the belowdecks accommodations, as well as subtle, flush-finished superyacht features, such as a boarding door and a side-entry garage that fits a tender and a waverunner. The superstructure has a raked, curving windshield and distinctively framed side windows, topped by a coachroof with a finely drawn grabrail. The exterior design look of the Z72 is developed in collaboration with Cor D. Rover. 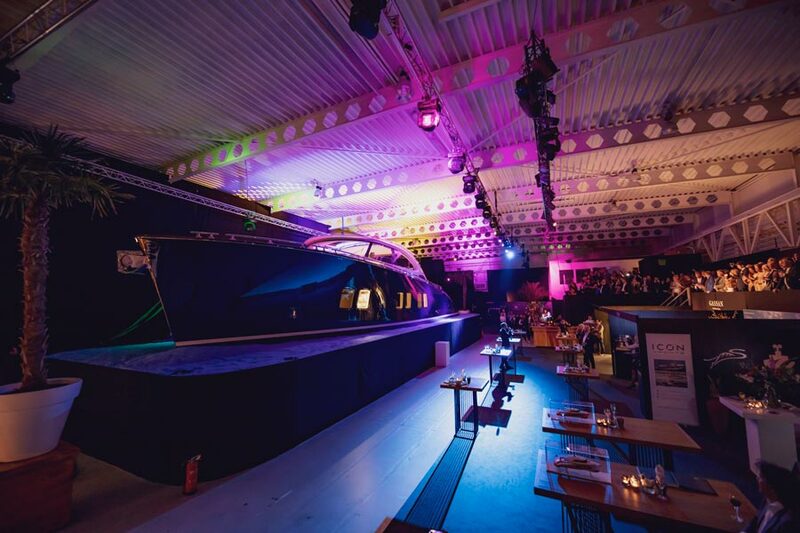 Rover also contributed to the design of the bestseller model so far for the yard - the Zeelander Z44.“An S-Shaped deck line, a wider stern and even more curved surfaces,” said Floris Koopmans, Marketing Coordinator at Zeelander Yachts. “We believe true yacht building is a form of art: Whilst keeping true to the iconic shape, the Zeelander design has evolved. A legendary icon, an evolution of timeless design is what we envision for the Z72.” The 72-foot (22-meter) LOA gives the design a bit more room to breathe, with even more pronounced curves. This yacht is undoubtedly a Zeelander, but something wholly new as well. 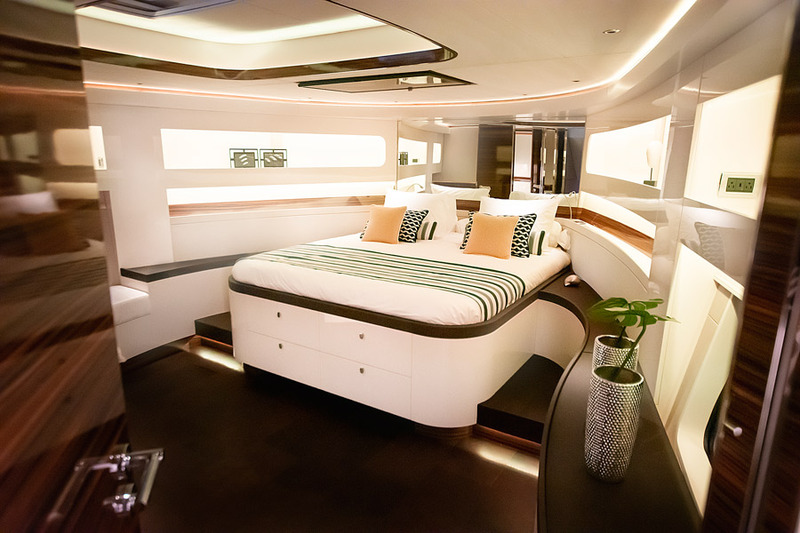 The Zeelander in-house team created the interior design of the Z72. 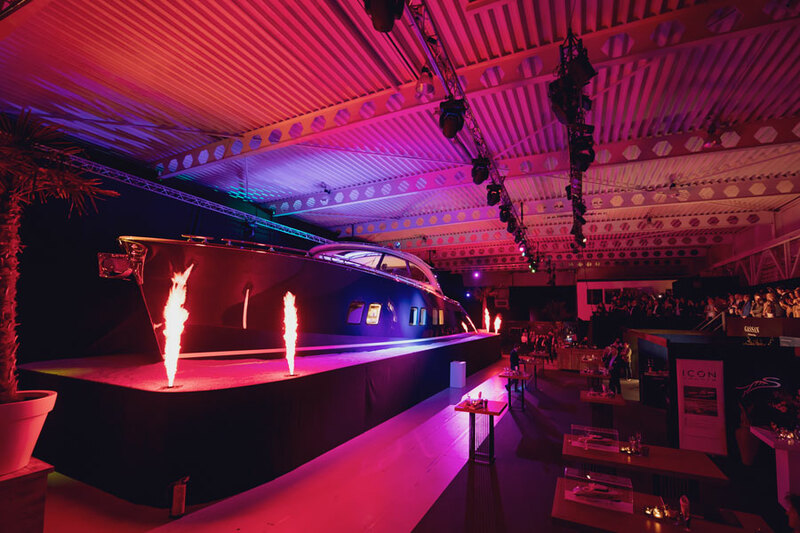 The company takes a unique approach to yacht design, actively involving owners of its yacht in the discussion about models under development. 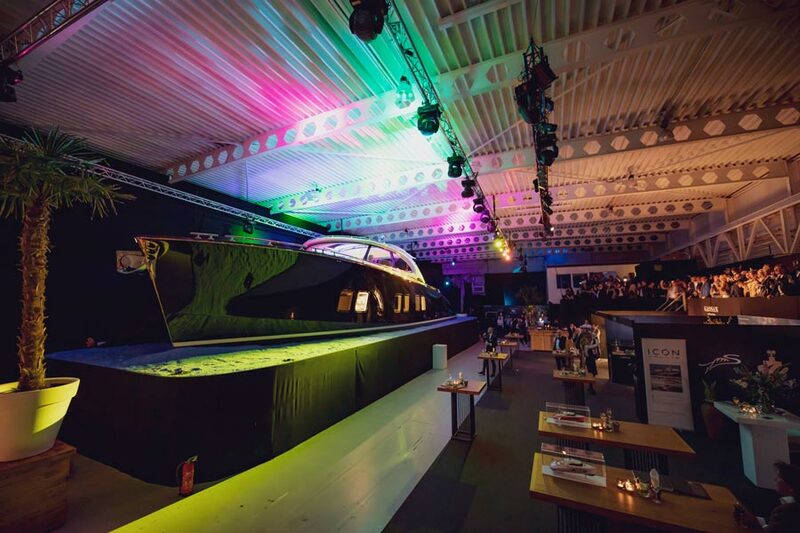 This allows Zeelander to get a better sense of how active boaters use their boats, and about specific features and design elements.“Owners of Zeelander Yachts know what they like,” Floris Koopmans said. “When they share their experiences, we know that no one has a better sense of how the boats are used. That discussion has led the way to the Z72.”Huge expanses of glass surround the entire enclosed space of the deckhouse, which encompasses the helm area forward, backing up to a large dining table. At the aft end is a roomy, functional Ushaped galley. The coachroof overhead has a broad sunroof to brighten the table. “We have made the boat very open, spacious and airy, so you always have the feeling that you are outside at sea. A very large convertible sunroof and a retractable aft sliding window gives the Z72 the appeal of a cabriolet, without limitations”, adds Koopmans.The helm console consists of an angled, ergonomic pod on centreline with glass-bridge electronic navigation displays. A wide bench seat accommodates the skipper and companions with virtually uninterrupted 360-degree lines of sight thanks to the large windshield, huge windows with narrow mullions, and the elevated position of the helm deck. The companionway stairs curl invitingly down to the lower deck from the starboard side of the helm.The dining table is directly abaft the helm bench and keeps even more companions close by. A wide settee aft and a two-seat bench to port serve the table. The table itself is sculpted with curved sides, a surface inlaid with hardwood, and it sits on the same elevated deck as the helm station. The helm bench converts at anchor to face aft, to allow additional table seating, a Zeelander tradition. The dining table sits on automated multi-position pedestals that will allow it to lower and accept a filler cushion to serve as an additional guest berth. The galley is at the aft end of the interior to serve the dining table and the cockpit equally well. The counters offer a subtle twist on the U-shaped galley, still handy for the cook to lean against for safe meal prep in a seaway, but with a gentle curve to help accentuate the Zeelander feel. There are copious stowage in numerous lockers, and high-end appliances. The Z72 is even more silent than smaller Zeelander models – extra soundproofing and insulation upgraded her to mega yacht level. Because the aft bulkhead window dividing the galley from the cockpit retract, the aft counter doubles as an aft-deck bar and is served by four fixed stools beneath the coachroof overhang for a sleek take on the alfresco bar experience. Abaft the stools is open deck space, sheltered by the extended house sides, followed by a step down to a fore-and-aft pair of settees with a cocktail table between. From this aft-deck area, the side decks offer easy, safe transit forward, where yet another sun pad awaits. As an example of superyacht-level transformation, that iconic curving transom unfolds, and the backrest of the aft settee folds down to create an enormous sun pad, handy to the swim platform. The 10 sq. m platform serves as the teak beach at anchor, and is a main gathering area for waterloving family and friends. The beach club of the Z72 is equipped with a cabana. “There are four carbon fibre pols that you pop into four holes on the platform”, explained Floris Koopmans. “You lock these with a simple mechanism, span the fabric at the top and attach the optional side curtains.” The first Z72 unit does not have a jacuzzi, but it is optional. 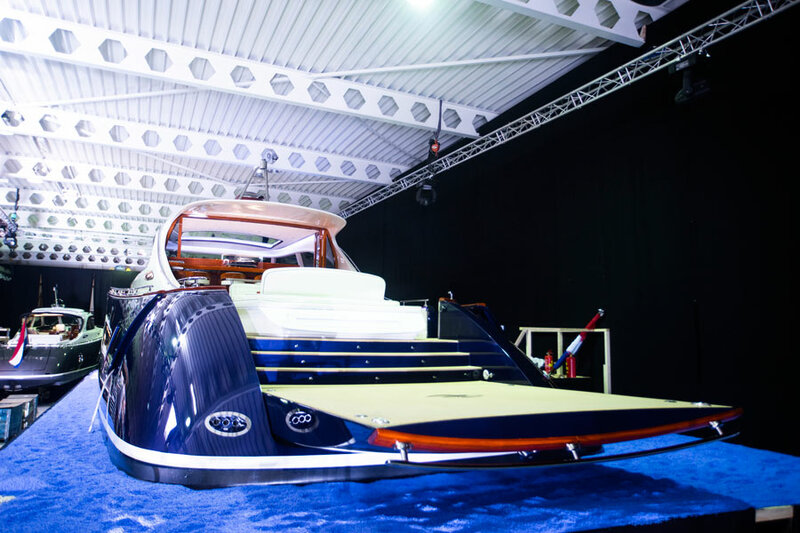 It can be installed on the aft deck instead of the sunbed. The jacuzzi could then be closed to return to a sunbed. Down the companionway stairs, the Z72 has a three-stateroom layout. The master is forward and shows a key benefit of this curvy, updated take on the classic high-sided commuter: headroom and forward volume. As with all Zeelanders, the décor is sophisticated, yet comfortable to allow for guests and family to enjoy their time aboard with ease. The master stateroom features a king berth finished in an updated Herreshoff style with white ceiling and overhead panels accented with dark varnished wood. A large sunroof, hullside windows, curving bulkheads, and leather-trimmed accents combine with a large deck footprint to bring an authentic superyacht feel to the owners’ quarters. The superyacht sensibility continues to the master head, which features a walk-in, tiled shower, distinctive basin sink, its own hullside window and an expansive mirror. Additional accommodations consist of a pair of guest doubles located amidships, where angled entry doors optimize the use of space while highlighting the mirror design. Each stateroom benefits from the same level of fit and finish, with private head with separate shower.“Because the owner loves a good party, the Z72 has extra party lights and biggest JL sound system on all spaces on the boat. Helm, kitchen, aft deck, front deck all the rooms and even the swimming platform”, said Floris Koopmans. The crew’s quarters are also on the lower deck, accessed through a hatch in the aft deck, where the crew has a berth and a private head. The crew’s quarters are adjacent to another true superyacht feature, the hullside tender garage, where a RIB tender and PWC can be deployed and retrieved with minimal interference with activities on the swim platform. With a profile like that of the Z72, a yacht must be able to back up her looks with performance, and Zeelander offers a selection of triple Volvo Penta IPS engine choices that will do just that. With three, 1,000-horsepower IPS 1350s, the Z72 is expected to reach a top speed of 40 knots, and benefit from the Volvo Penta integrated joystick system for excellent maneuverability. Zeelander pays close attention to onboard comfort, including sound attenuation and vibration damping for onboard systems. The boat is available with a Seakeeper gyro stabilization system for optimal comfort. “Same easy operation as there are still some owners who’d like to take this out by themselves. We made that possible”, said Floris Koopmans. “The gyro stabilization in combination with the humphree trim tabs also makes this boat very stable in any condition.”The Zeelander Z72 brings superyacht level design to a 72-foot (22-meter) profile that will turn heads in any port of call, and with the performance and comfort amenities to match. The Zeelander Z72’s price is 3.345.000 EUR Ex VAT.